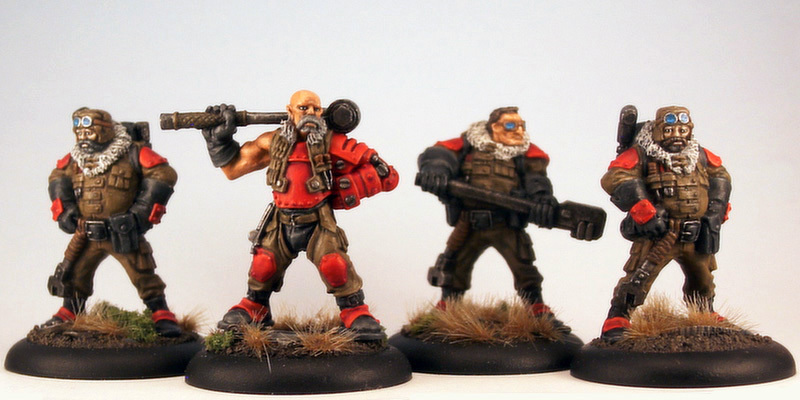 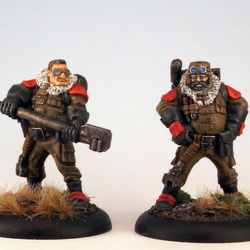 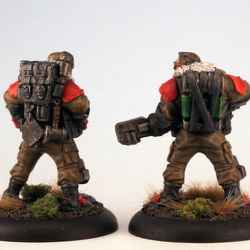 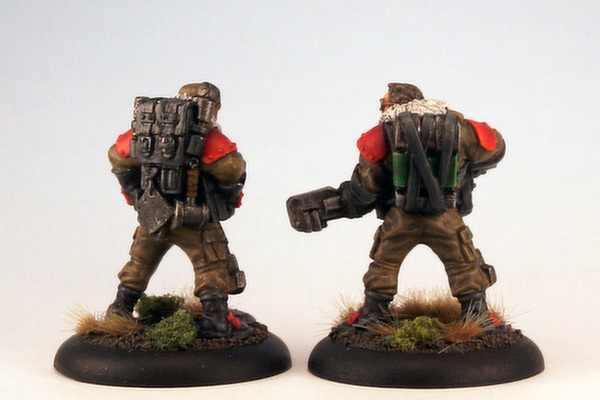 An unit of Khador Mechanics, which waited about five years to get painted. Their chief was one of my first Khador models and still is one of my favorite ones. 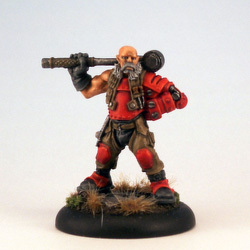 Khador’s mighty warjacks are built to last, but not even the toughest Destroyer or Juggernaut is immune to the devastating effects of protracted battle. 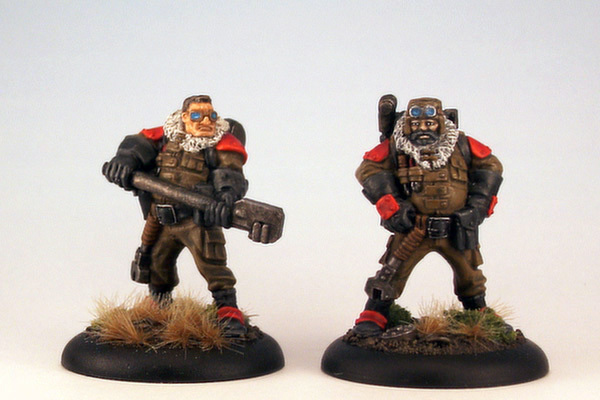 The loyal members of the Khadoran Mechaniks’ Assembly are there to keep the empire’s great battle machines pounding away at the enemy. 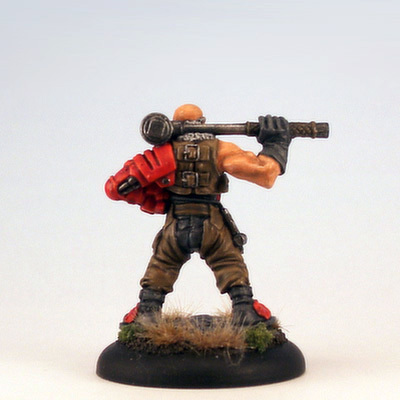 Every battle mechanik follows his warjacks into battle, ready to make essential repairs or simply crush skulls with his oversized wrench.